“We’ve been number one in small jobs, manufacturing growth for the last nine years in a row, and all of that is ancillary to agriculture,” he said. 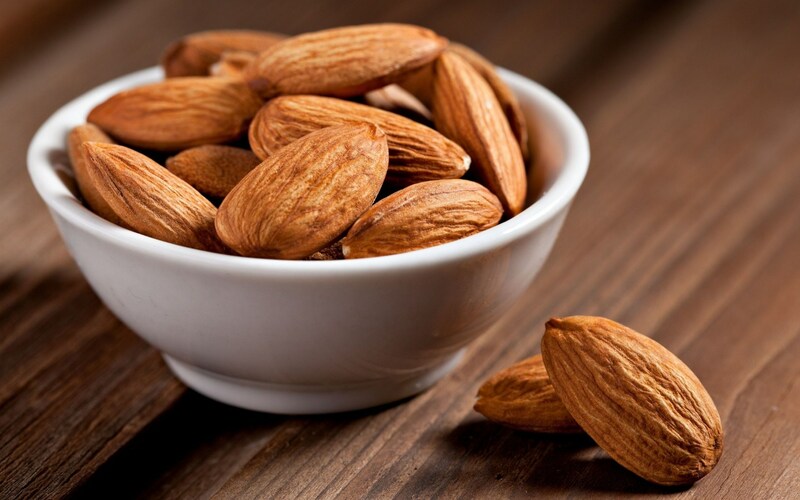 Pistachios and almonds have aided in Madera County’s financial growth. “There was a lot of money that went into developing their system, and it’s paying off big time. I believe it’s almost 50,000 acres. It was 30,000 originally, I think, and it’s expanding more all the time,” Rogers said. Governor Newsom put the final nail in the coffin of high speed rail recently. His admission that this project will never go from Los Angeles to San Francisco as voters intended echoes what I have been warning about for years. The results of the audit I requested provided indisputable proof that there is no way forward. They never had the land, they never had the money, and now we know that it will never be a reality. Governor Newsom also confirmed today that if California doesn’t finish the Bakersfield to Madera portion of the track, we will be forced to repay $3.5 billion in federal funds. 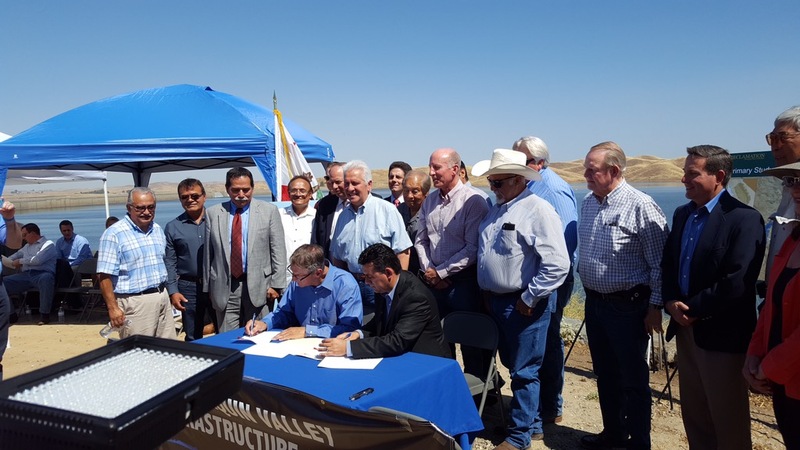 With this stunning turn of events, Central Valley rail supporters and skeptics, must band together to make sure we are left with a functional track. After tearing up prime Ag land and ripping up the heart of our cities, we must ensure that we aren’t left with the unfinished scraps of a failed project. “The only way this bureaucracy works is by keeping the pressure on. Today’s turn of events is proof of that. East of Fresno at Friant Dam last Friday, July 1, the San Joaquin Valley Water Infrastructure Authority (SJVWIA) and the United States Department of the Interior, Bureau of Reclamation signed an historic Memorandum of Understanding to coordinate and complete feasibility studies of the proposed Temperance Flat Dam. State Assemblymember Frank Bigelow, 5th Assembly District (serving a large portion of Madera County, along with all the foothill and mountain communities north of Madera to the Sacramento area) noted the critical importance of getting Temperance Flat Dam built to store freshwater for the citizens and farmers of California. 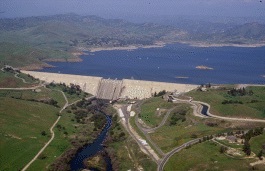 “Right now,” he detailed, “Millerton Lake captures 526,000 acre-feet of [fresh] water, but we have millions of lost acre-feet that flow past every year into the Delta, then ultimately to the ocean.” Upon completion, the Temperance Flat Dam would hold more than twice the amount of water that Friant Dam holds—”especially important for capturing freshwater during heavy rain and snow years,” noted Bigelow. “Our goal is to provide innovative products to our customers,” Jue explained, “our industrial customers—food manufacturers, in particular—as a way to enable them to use our products in their products. We want to be as user-friendly as we can, so we listen to consumer needs to get our product in their hands and make it easy for them to use. The more we can do that, the more successful we’ll be at with providing figs to the consumer,” he said. Gary Jue, president of Valley Fig Growers. Jue mentioned during the holiday season last year, one of the Valley Fig accounts provided a whole chocolate covered fig product that was great. “Now,” he said, “we’re looking to determine if this is going to be a seasonal item or a year-round item. That large wholesale supplier really did a great job of introducing this confectionery fig into the mainstream public marketplace. It’s not a high-end specialty item, but something that anybody can go to the retail shop everyday to buy and enjoy. That has been a great, great upshot,” Jue affirmed. 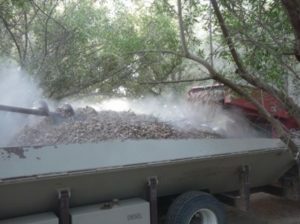 “It is rewarding for us to be the vehicle that actually touches the lives that these farming families are supporting. Without their support and donations, it would be an empty warehouse. We, in turn, provide the connection to our families in need. Our staff knows, on a very personal basis, the opportunity to hand fresh food, fresh produce, to families knowing it will be on their tables that evening,” Souza noted.